Material: Lower part: 95% polyester, 5% elastane. Upper part: 95% nylon, 5% elastane. Lining: 100% polyester. Beautiful tricot dress from CHIARA FORTHI. 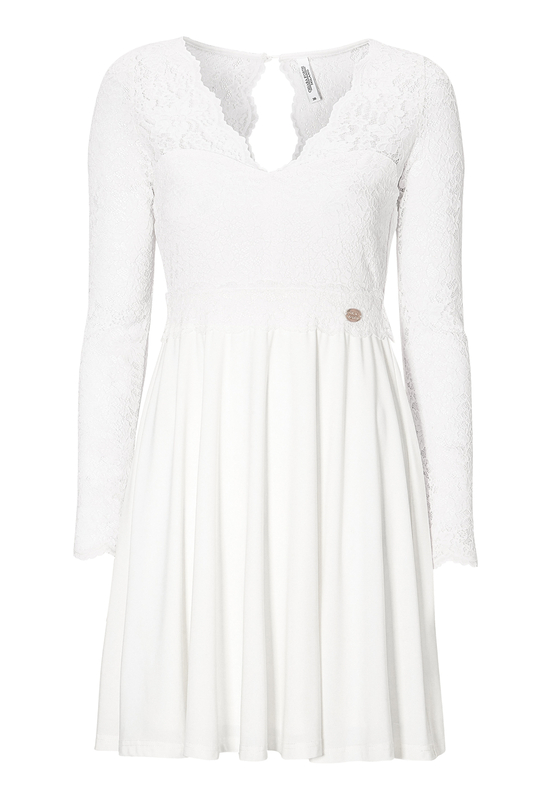 The dress has beautiful lace at the top, and the skirt part is made from soft and flexible tricot. Total length of garment in size 36: 88 cm.